When I was younger my grandfather taught me to fish and to shoot. He also taught me the value of hard work, the process of patience, and the thought that giving back to the community is the best work you can ever engage in. When I moved to Central Oregon, I decided to put some of my skills to use for the activity I enjoy most: fishing. 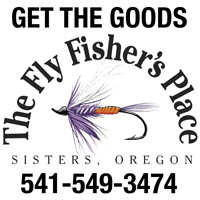 Since the bulk of the waters here in Central Oregon are primarily fly fishing waters, I decided to look around and find a group who could help me understand more about this skill – which lead me to a meeting of Trout Unlimited. Seven years later, thousands of hours, a few bumps and bruises, and some extraordinary encounters later – I sat on my couch with my dog Dannyboy and thought to myself “Why not give this a shot for a year? 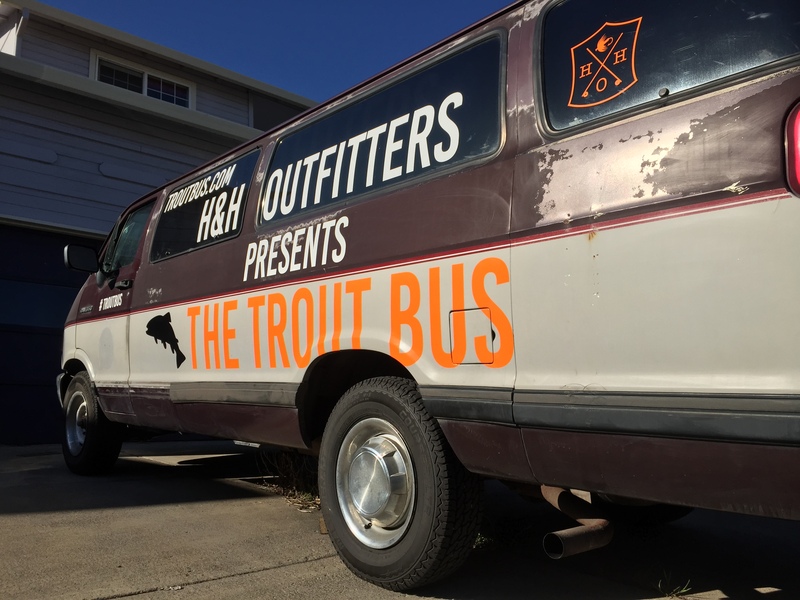 Just go out and do what I do – meet people, help tell their stories, and provide my skills in graphic design/layout/social media/web development to them and all from the road?” Thus the Trout Bus was conceived. Now (the process of figuring it out is still in the works) who knows if it will become something I can not only be proud of – but even perhaps make a living at it. The first step was trying to put into words what I was thinking this project could be. The concept is to hit the road and use photos/video/writing to create a broader awareness of the local issues that our communities face when it comes to conservation of our resources, the successes that occur, and the collaboration it takes to succeed. It takes getting people and businesses to buy in to the idea that they can make a difference by offering their experiences to create a better future for those resources through online media. So the format will be something of a mashup between Les Stroud Survivorman meets Anthony Bourdain No Reservations. Wherein I will be taking cameras and technology into the wild spaces where we love to go, stopping to sample the culture of the areas around them. Meeting interesting people, eating their food, and drinking their beer – then going for a fish, hiking a trail, learning about their successes in conserving natural resources, and compiling all that information to share with you so you can enjoy the same experience. No production crew, no agendas, no bias, and no expectations. Just the open road, a list of people and places, my dog, my gear, and my bus. If the bus is heading your way, shoot a message to us through the Contact Page and we’ll try to make a stop to come by and say hi! You can also take a look at the Map Page to see where the Trout Bus is currently parked as I will be updating it while I am on the road. Lastly, this project cannot be done without the support of you – the reader and the sponsors who are helping to push it down the road. So click on the ads on the left side of the site and buy some gear from them so we can keep the bus rolling! If you are so inclined and find that my musings are entertaining – you can help fund the project without buying swag as well!! Just head over to the GoFundMe site and make a donation there!